Just in time for the festive season we have a pre-Christmas gift for you! With the latest firmware update for your Nuki Smart Lock we have devoted all our efforts to your wishes and implemented some of your most requested features. The subjects of this update is ‘individualized time settings for unlatch duration’ and improving the speed of the Smart Lock. Since the last firmware update in July 2017, we have often received feedback that the Auto Unlock for doors with knobs is actually working too fast for some users and the latch has already been released again before the user reaches the door. As a result, the app has to be opened to unlock the door again. For this reason, we worked on an option to make the holding period of the latch adjustable. But also for users where Auto Unlock already worked perfectly, this new feature has a positive side effect: The unlatch duration can not only be extended, it can also be shortened to a second in order to save energy. Some of you asked for an activity log entry when pulling the latch while the door was not locked. We have implemented this feature so that you can always see when someone unlocks the front door manually from the outside by pulling the latch. With IFTTT, also a notification can be sent to you when someone opens your door this way. Locking with the Nuki Smart Lock works now even faster. As you have certainly noticed, at the beginning and end of each locking operation you hear a clicking sound and the actual locking operation starts approximately after a second. This sound derives from coupling and uncoupling of the engine so that you do not notice the resistance of the engine when locking with the key or the knob. In our firmware update to version 1.5.3, this time could be shortened massively, so that the locking process starts immediately after coupling. As a result, every locking process – whether initiated by Auto unlock or manually – is accelerated massively. Besides the locking operation, we have also worked on the Bluetooth speed. With various improvements, the entire communication between Smart Lock, Bridge and smartphone got accelerated by up to 600%. You will notice this speed boost in data-intensive commands such as firmware updates or when accessing the activity log or user list. 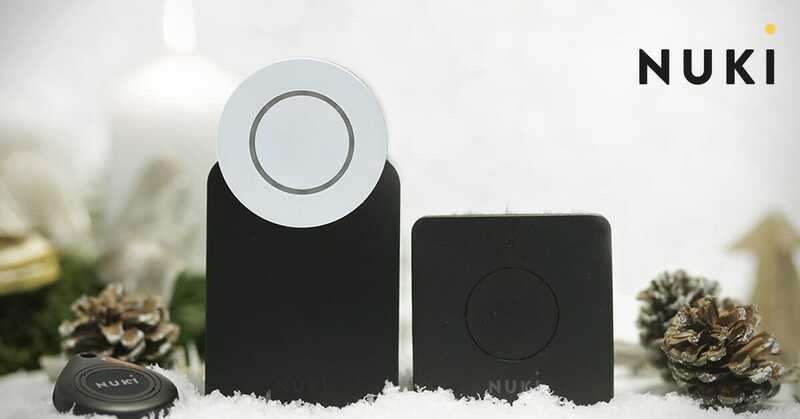 We hope to bring you a nice pre-Christmas surprise with this firmware update and wish you ongoing joy with your Nuki Smart Lock! Like all our firmware updates also the firmware version 1.5.3 will be released staged. If the update is not immediately available for you, there is no need to worry. In the next few days, the update will be also displayed in your Nuki App. To use the above mentioned features, you need the latest version of the Nuki App. You can download it in the respective app store.